Think of the Mediterranean, and no doubt you’ll be thinking of quaint villages with colourful shutters and delightful local eateries. Perhaps you’ll be thinking of the finest wines, delicious cheeses or the freshest local seafood. Whatever you’re thinking it’s undeniable that the Mediterranean is full of beauty. Even the name has an exotic familiarity. Although the name simply derives from ‘the middle of the earth’ (much less exotic). Alhambra is an intoxicating attraction; the patterns, colours and architectural splendour are definitely worth a photo or two. Perched on a hill, the snow-peaked Sierra Nevada mountains create a stunning backdrop. This centuries old palace in Granada is an impressive gallery of Moorish design. 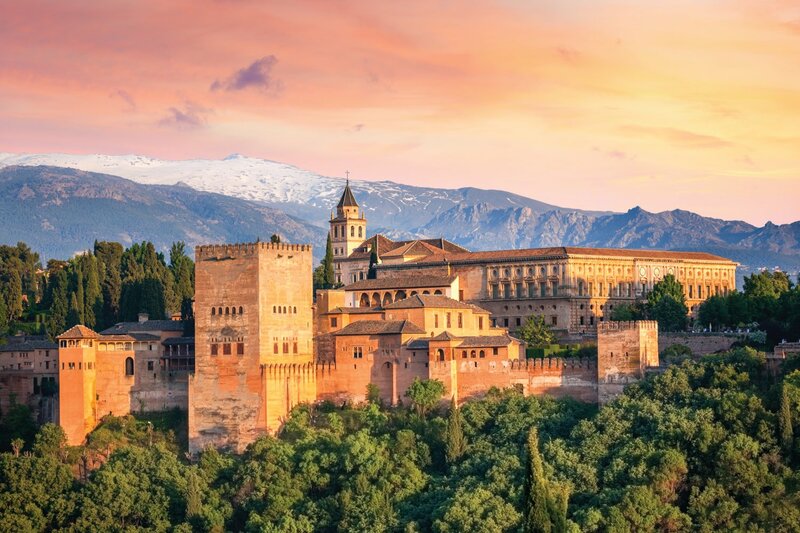 Andalucía itself captures the alluring essence of Spain. A deeply passionate place with guitar wielding locals singing Hispanic laments, fiery flamenco dancers and fiesta (and siesta) loving locals. With the scent of orange blossoms and lemon trees filling the air; memories of Andalucía stay with you. Best time to visit Spain: In spring and autumn snow still hugs the mountain peaks for a stunning photo opportunity. Where to stay: Just a 20 minute walk from Alhambra, Hospes Palacio is a superb 5 star hotel. At Ölüdeniz in Turkey you’ll see nearly every shade of blue. This pristine blue-flag beach is and surrounded by lush scenery. Take a relaxing nature stroll, ride horseback through the countryside or hit the water with the range of water-sports on offer. Best time to visit Turkey: Turkey experiences very hot summers and mild winters. Visit spring and early summer to avoid the high temperatures. 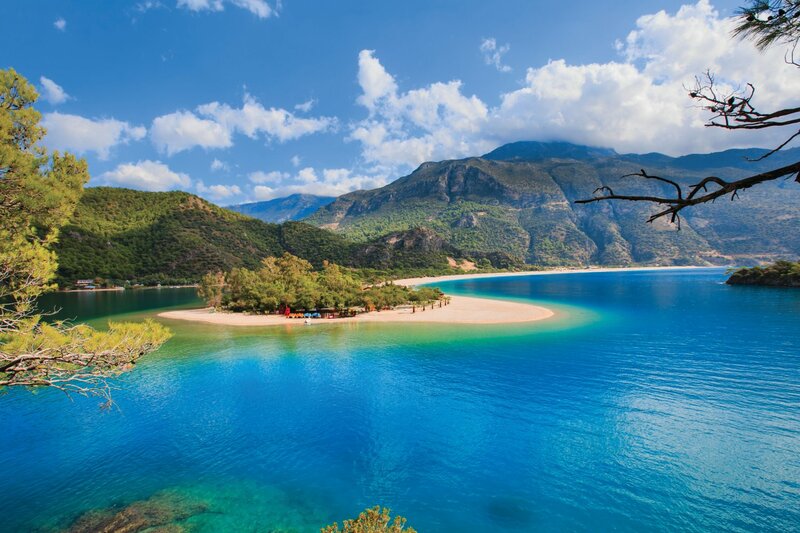 Where to Stay: North of Ölüdeniz, the Hillside Beach Club sits on its own private bay. Unrivalled in luxury this hotel appeals to couples and families alike. Well known for its pristine beaches and active nightlife, Mallorca is also home to the stunning Tramuntana mountains. Hiding away from the main tourists resorts, the beautiful village of Deya is a captivating little village untouched by time. Looking around the lush green mountains you’ll see olive groves, quaint villages and blue sea’s glistening between gaps in the mountains. Best Time to visit Mallorca: With events going on all year there’s always something to do in Mallorca. Weather between April and October is highly pleasant with temperatures in the 20’s. Where to Stay: For an intimate 4 star, the Es Moli is endlessly charming. For an extra dose of luxury the Belmond La Residencia has no rival. 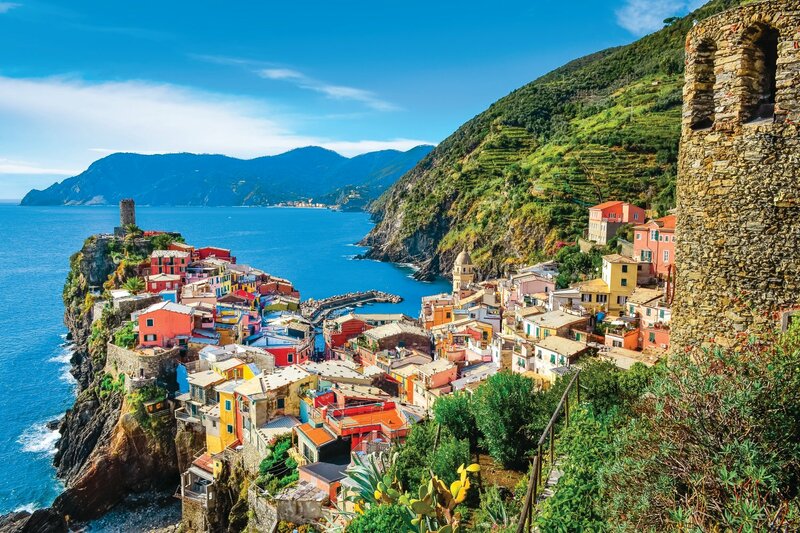 Cinque Terre is a string of 5 fishing villages perched on dramatic clifftops. Romantic, colourful and car free you can explore this UNESCO world heritage site from its ancient system of footpaths. Its colourful buildings and coastal tunnels make it truly photogenic. Best time to visit Liguria: The Liguria region is generally a sunny place, however rainfall can be more common in winter. Where to stay: Just south of Cinque Terre, Sestri Levante is a great base to explore this beautiful region. 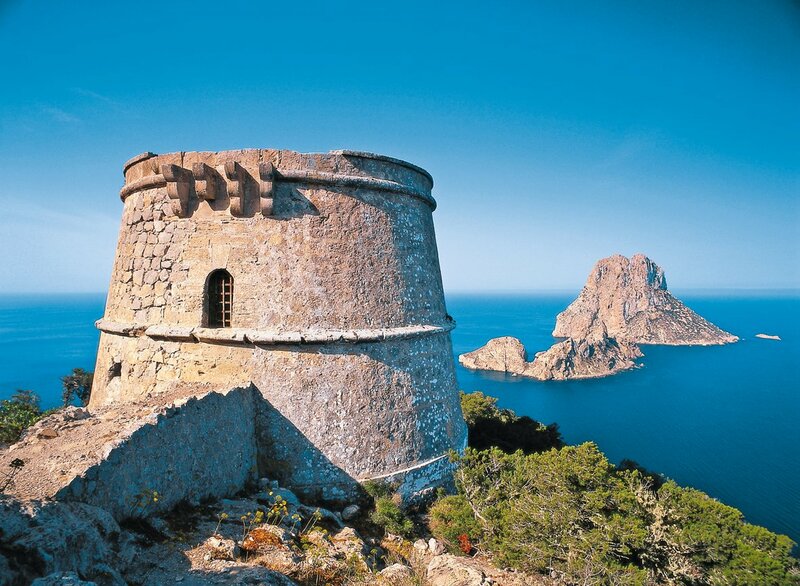 Ibiza is not all nightclubs and Dj’s, it’s also renowned for its cuisine, bohemian culture and beautiful landscapes. Torre del Pirata is an abandoned watchtower on the south coast. Looking out to sea, the views from here have inspired many artists and writers. Best time to visit Ibiza: The island is most vibrant and alive between June and September, when the weather is warmest. Spring and Autumn are a great time to experience the quiet side of Ibiza. Were to Stay: Sophisticated and eco-friendly the Aguas De Ibiza in Santa Eulalia offers a touch of chic luxury with a relaxing twist. Look in any direction and a photo opportunity will arise, as natural beauty is in abundance here. Home to unspoilt beaches, lush green valleys and flowery meadows, this really is one of Greece’s hidden gems. Steeped in ancient history the Peloponnese is said to be where Hercules fought Nemean lion, Paris of Troy eloped with Helon and the Argonauts set sail in search of the GoldenFleece. Best time to visit: Disconnected from mainland Greece by a water way this region shares a similar climate with the mainland. Long warm summers and mild winters. May to September is considered the best time to visit. 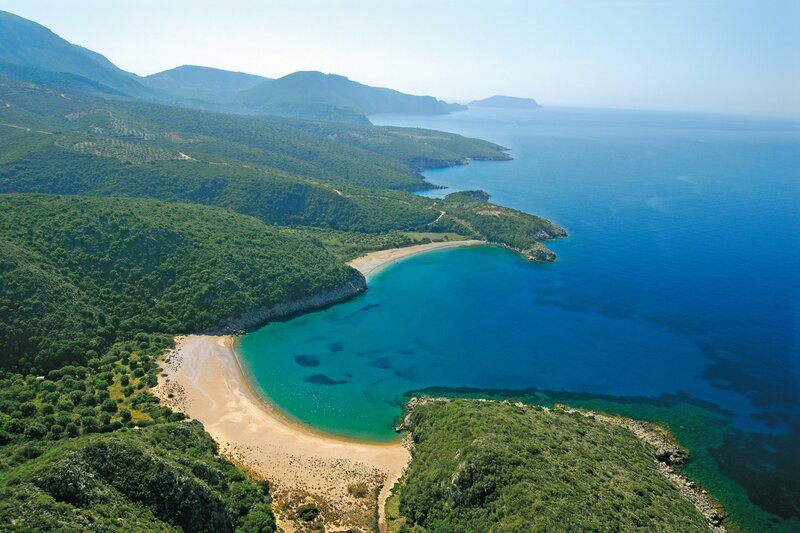 Where to stay: The eco-friendly resort Costa Navarino is a recently new development. Designed to provide unlimited luxury with facilities at your fingertips. 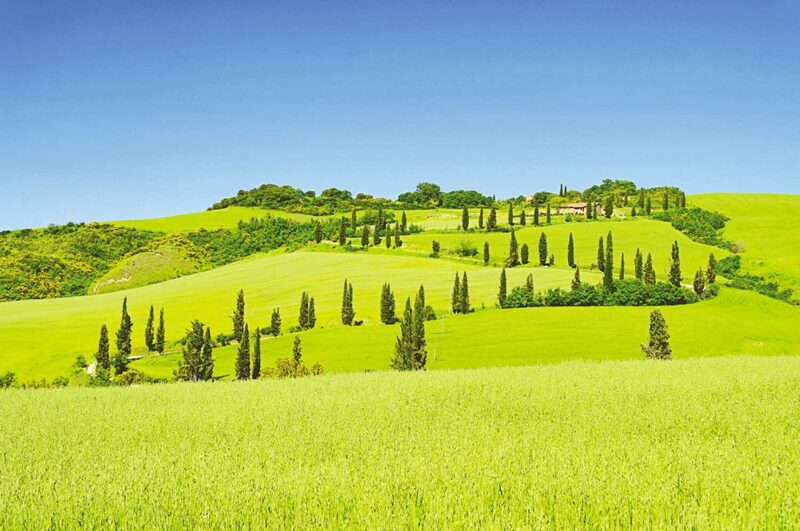 The peaceful rolling hills of Tuscany are a frequent feature in Italian brochures and Mediterranean postcards. The scenic splendor of Tuscany does not disappoint. This picture-perfect countryside is home to medieval villages, olive groves and endless vineyards. Truly Italian, Tuscany is full of gastronomic, cultural and natural delights. Best time to visit Tuscany: The countryside changes colour with the seasons. With rusty reds in autumn, lush greens in summer and the colours of blossom in the spring. You can expect pleasant weather from April through to October. Where to stay: Ideal for exploring Tuscany, Grand Hotel Francia & Quirinale is just 45km from Pisa and Florence with parking available if you’ve hired a car. A stunning natural phenomena, Plitvice Lakes are a collection of 16 lakes connected by spectacular waterfalls. As you walk along the wooden footbridge the colours of the park really captivate you. Butterfly’s flutter around and the sound of gentle cascades make this feel like a true eden. As a UNESCO world natural heritage site the park is protected, keeping the waters clear and the wildlife flourishing. 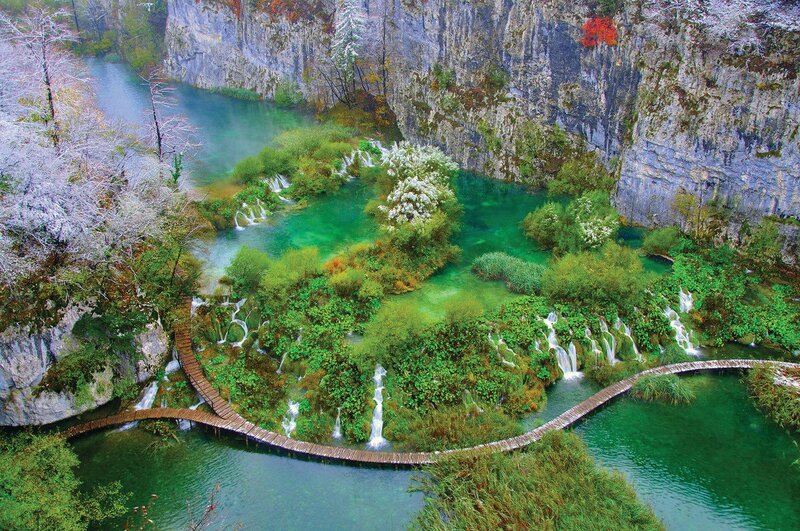 Best time to visit Plitvice: To avoid crowds, best to arrive early morning before 9am. Spring and autumn are the best times to visit as temperatures are cooler for hiking and waterfalls are at their peak. Where to Stay: Ideally located for exploring, Hotel Dejenija is located in the village of Seliste Dreznicko. White sugar-cube houses cascade down dramatic volcanic cliffs, with delightful splashes of blue from pretty domed roofs. 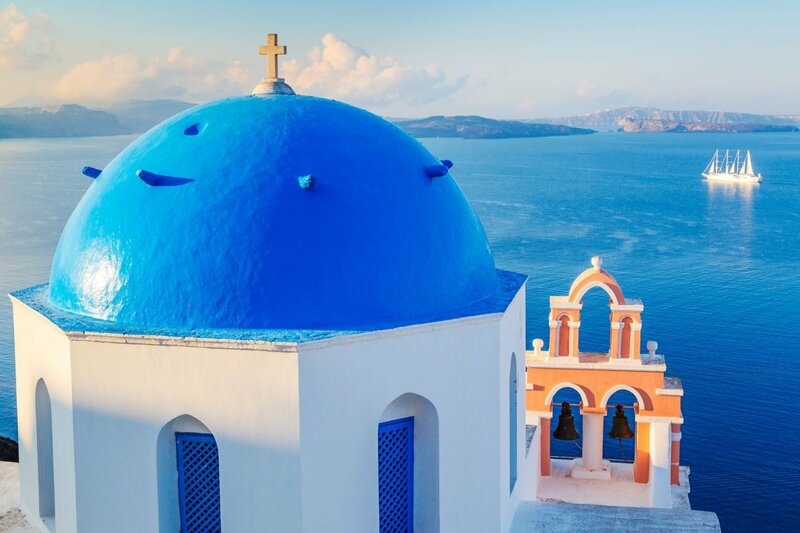 Formed from a volcanic eruption in 1600BC, Santorini truly captures the essence of Greece. As you look over the Caldera, out to glistening seas, you can easily see why Santorini is so loved. At the end of the day, find your spot, set your camera on a tripod and enjoy one of the most beautiful sunsets in the world. Best time to visit Santorini: Late April to early November is when the weather is warmest and there is little rain. Like the rest of the Mediterranean Santorini experiences long warm summers and mild winters. Where to stay: Dramatically perched on a cliff, the 5 star Petit Palace looks out to stunning views of the Caldera. 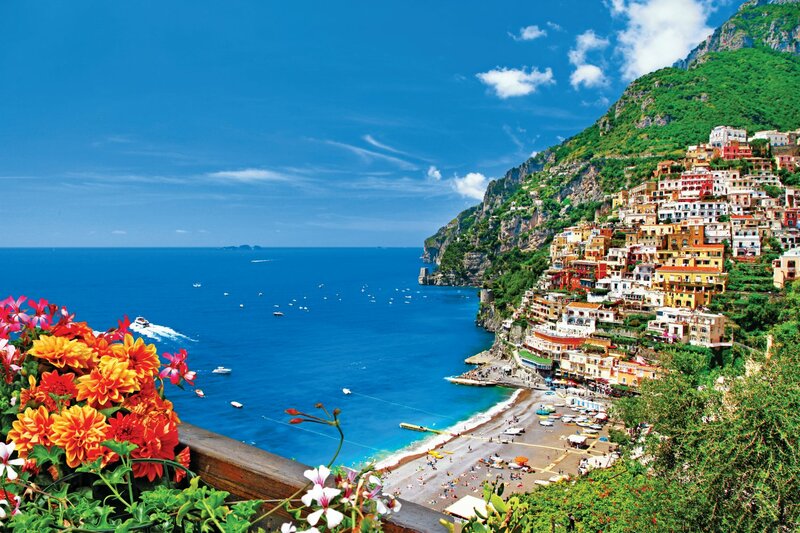 UNESCO named the Amalfi Coast an outstanding example of a Mediterranean landscape, and its easy to see why. The dramatic cliffs plunge in to sparkling Mediterranean waters. Along the coast you’ll find several villages with postcard-perfect stacked houses wearing colourful shades of pink, peach and cream. Typically Italian the coastal villages have quaint alleys and cobbled streets with boutiques and traditional cafes. Legend has it the village of Positano was founded by Neptune to please his beloved nymph, Pasitea. Best Time to visit Amalfi Coast: Spring in Amalfi is highly pleasant with colourful blooms which fragrance the air. Following suit with the rest of Italy, Amalfi enjoys mild winters and long warm summers. Where to Stay: The spectacular resort of Sorrento boasts beautiful views of the bay of Naples and a superb selection of restaurants, bars and elegant boutiques. Have you been to any of these destinations? We’d love to hear your stories in the comments below.